Quilting is one of the everyday activities in which people use mathematics without necessarily realizing it. 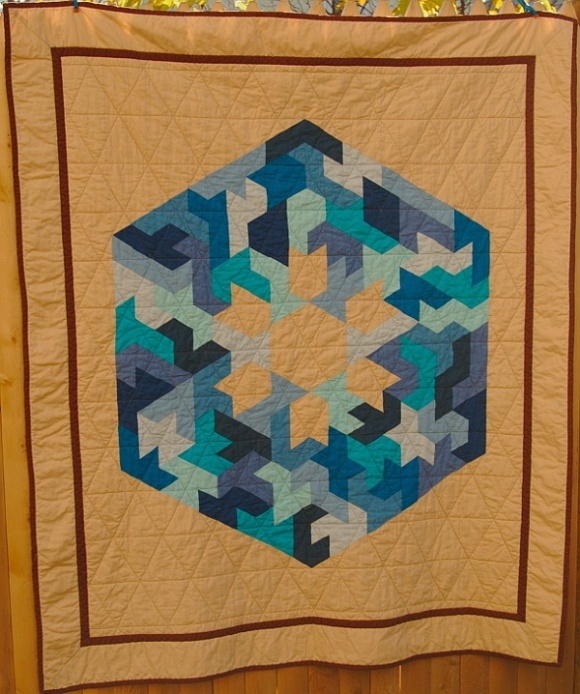 Geometric thinking is required to make any modular quilt pattern, but some quilters also choose mathematical subject matter for their quilts. This quilt by Camilla Fox shows a symmetric pattern constructed from the sixty six octiamonds– all the shapes that can be made by joining eight equilateral triangles edge to edge. 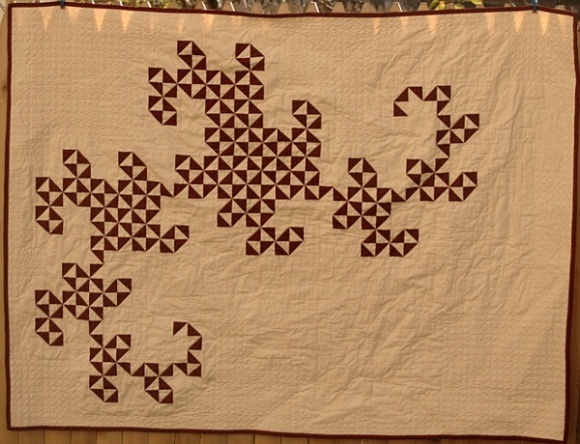 And here is a quilt based on a Dragon Curve, also by Camilla Fox. 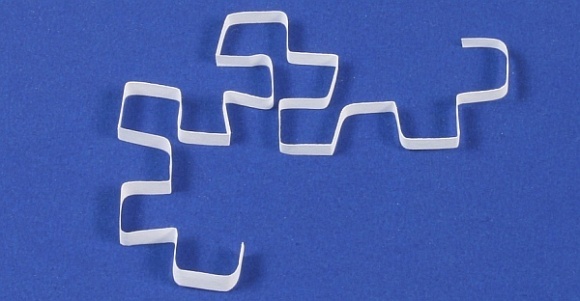 The dragon curve is the shape you get if you fold a long strip of paper in half repeatedly, then open it up so all the creases are 90 degrees, as shown below. The design in the quilt above can be derived from this idea, using a much longer strip of paper, and using the first and second segment as the legs of an isosceles right triangle, then the third and fourth segment, etc. This article first appeared on Make: Online, January 23, 2012.